Hamad International Airport Hiring – Welcome to Aviation Dreamer. We will help you to find Aviation jobs and Also, provide Aviation Interview Tips for Ground Staff and Cabin Crew. So, friends in today’s article I will write on Hamad International Airport Hiring Ground Staff (Customer Service Agent). So, please read this article till the end. Hamad International Airport (HIA) is the fastest growing international Qatar Airways network. Located just 5 km away from the city center of Doha, the airport is used by more than 35 regional and international airlines. This is the home of the only Terminal of the world dedicated to Qatar Airways first and business class travelers. Regarding your job: With information about flight time, transportation, reservations, hotel information etc. in Qatar, airport services and airline services, is responsible for providing users of Hamad International Airport. It is being done that all airport users receive a high standard of customer service, from the information desk and the services they receive. Are satisfied. Provide high-quality customer service to airport users at all times to continually improve customer satisfaction. Management of multi-product / services required by the organization. Maintain contact with all operational areas and keep policy and procedural changes equal. Speak and write another language in Arabic. Applicant should have a good standard of spoken and written English language skills. Copy of Your Last Educational Certificate. 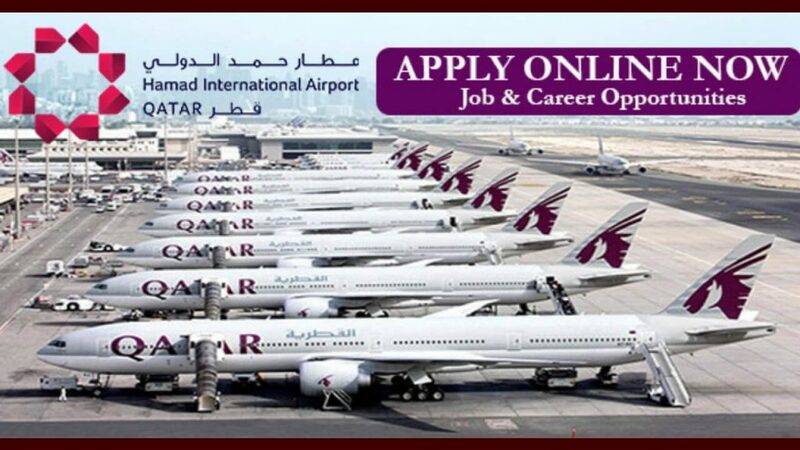 Note – Requested to all the applicant Click Here to Apply Online of Hamad International Airport Hiring Ground Staff.